London-based Palestinian Return Center leader says western world becoming more supportive of 'Palestine' as state. 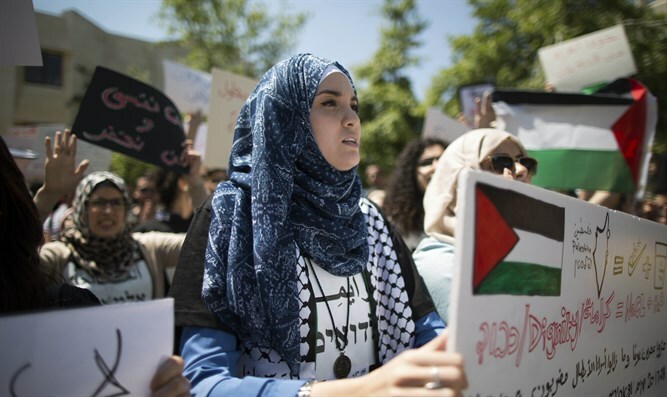 The PA and "Palestinian" communities in various countries around the world on Monday marked "Nakba Day," the day of "mourning" for the "disaster" which befell their people when the State of Israel was founded. Majed al-Zeer, who runs London's "Palestinian Return Center," told Hamas newspaper Falestin that the West's understanding of "Palestinian" rights is growing, and they are becoming more willing to act on the "Palestinians'" behalf. According to al-Zeer, one of the signs of this understanding is that various western countries are recognizing "Palestine" as a state. Citizens of these countries support Palestinian Arabs even more than their governments do, thanks to the Palestinian Authority's successful media campaign. Traditionally, Nakba Day entails demonstrations, riots, and violence, which Israel's security forces prepare to deal with both in the weeks leading up to Nakba Day, and on Nakba Day itself.